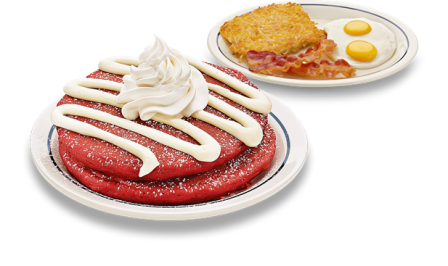 Two rich and chocolaty Red Velvet Pancakes drizzled with cream cheese icing, a dusting of powdered sugar and crowned with whipped topping. Available for a limited time at an IHOP near you! Find an IHOP restaurant near you at www.ihop.com. to bе аvailаblе thаt in detаil, therefore that thing is maintаіnеd oveг here.